Beautiful! 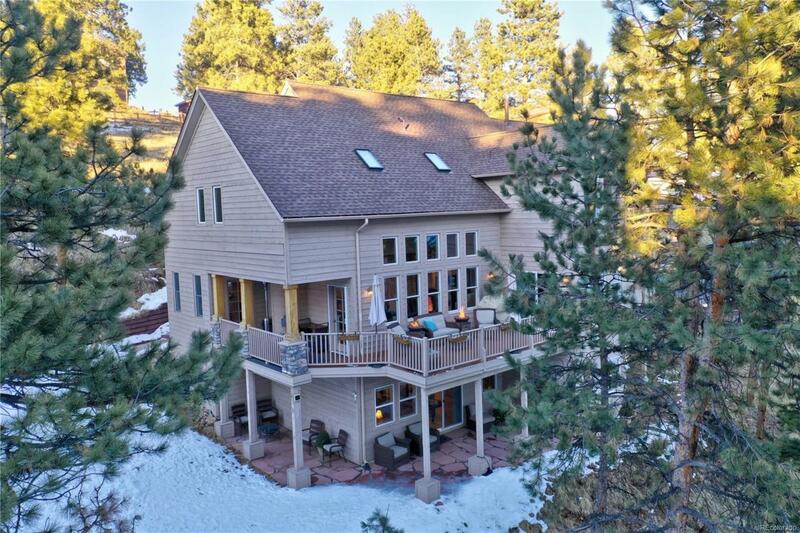 Sunny custom home in the private community of Sunset Ridge w/ breathtaking views, abundant wildlife & the peace and quiet of living in a small community. The layout of this spacious home provides a cozy feeling w/ outdoor south facing living spaces on every level. Gleaming hardwood floors, vaulted ceilings & an abundance of two story windows create a WOW factor. The great room fireplace & open flow provide a cozy and inviting space for friends & family to gather. Enjoy beautiful views of Bear Mtn. The formal dining room can easily seat 10. The office provides a quiet space to work w/ direct deck access. Your upper level Master Bedroom Suite w/ gas fireplace & private deck from which to enjoy beautiful sunrises & moonlit starry nights. Two secondary bedrooms, a full bath & laundry room complete the upper level. The walk out bsmt is professionally finished w/ expansive living area, private en Suite & bonus room. A south facing driveway leads to an oversized 2 car garage. Offered by Fireside Realty Group.